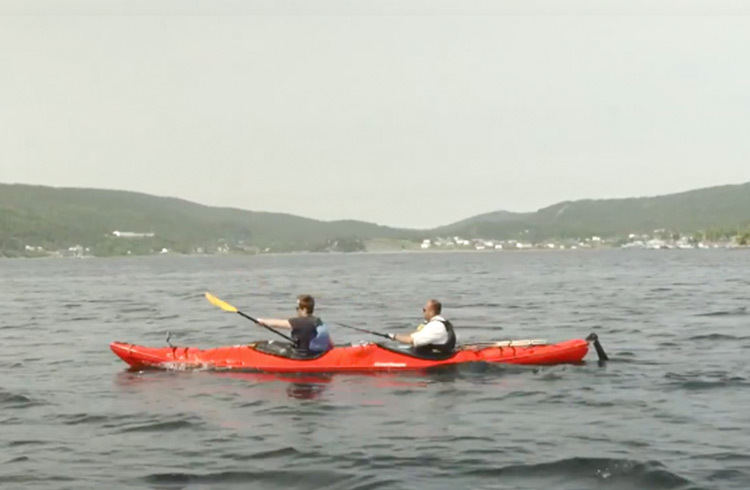 Discover the serenity of Canada’s Newfoundland as Nomad Will sea kayaks through the fascinating caves and around the cliffs of Cape Broyle, carefully avoiding the whales. Embark on a white-water rafting adventure in Newfoundland, Canada, and experience the thrill of the rapids on Exploits River. Join Will McCloy on an iceberg hunt in Newfoundland, as he hopes to see the formations as they float down to Canada from Greenland. Watch Will McCloy zip lining 300ft above Marble Mountain, on the west coast of Newfoundland, Canada. As Neil McRobert learns, nothing reveals your fellow passengers' true selves like being confined together for thousands of miles. Come with us as we travel to the remote wilderness of Canada on an Inuit-lead adventure. From the Canadian Rockies to Yellowknife, we round up the best experiences Canada's incredible landscapes have to offer.